Your CCT can be one of three documents, depending on when you finished your training. These are shown here with examples. 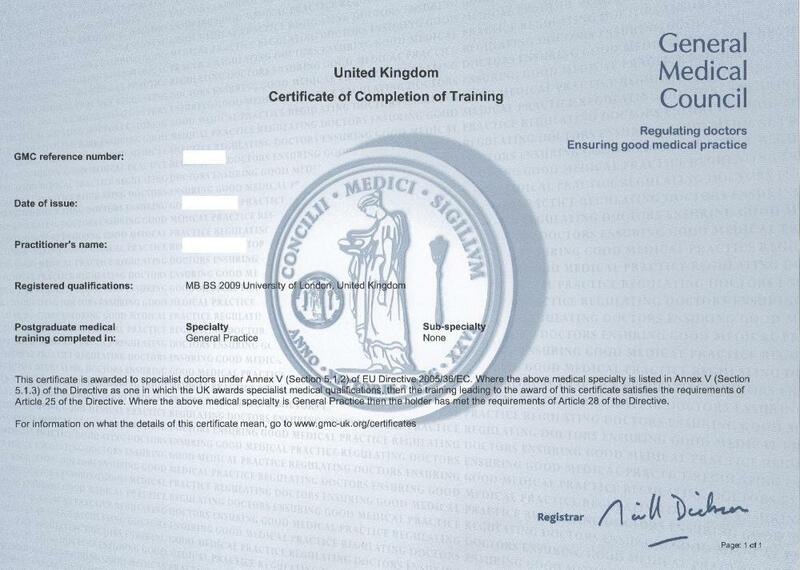 Please note: There is a very similar certificate to this which is entitled "Certificate of GP Registration". The Certificate of GP Registration is NOT the correct document and will not be accepted. 2. 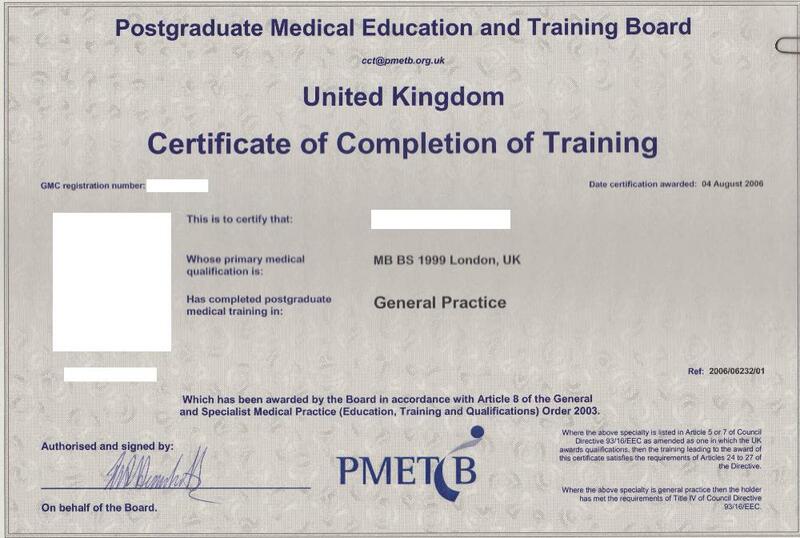 If you completed your training between September 2005 and March 2010, you will have a PMETB certificate. This is as below, and will have a passport-style photo on it. 3. 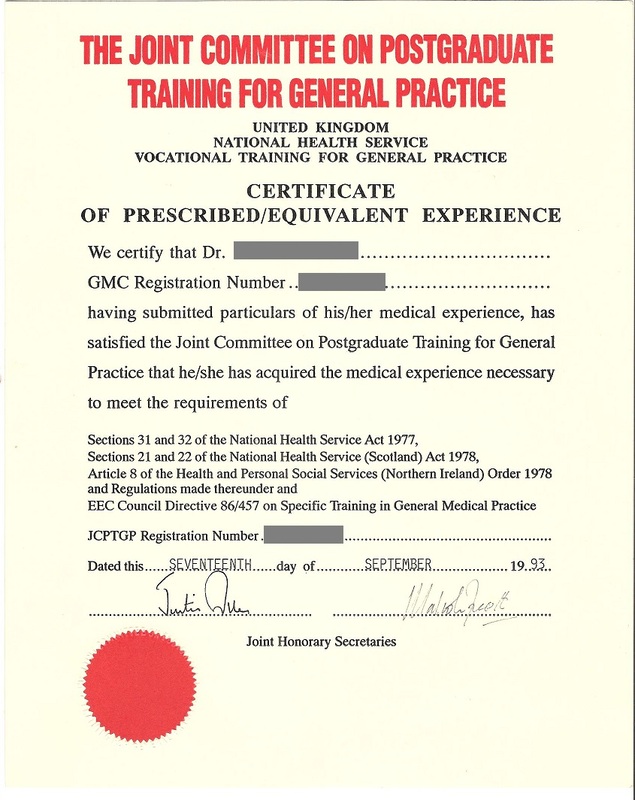 If you finished your training between 1976 and August 2005, you will have a JCPTGP certificate. In the event that you have lost your CCT or think you did not receive one, you can contact the GMC and ask them to provide you with a letter confirming that you did complete your training.